Huge Thanks to HDT Global for AWESOME Tents and Flooring . . The HDT Global Airbeam Tents, Flooring and Heating System set a new standard for Expeditions and DXpeditions. HDT Global is a Major VK0EK Sponsor – who supplied their gear 100% sponsored. 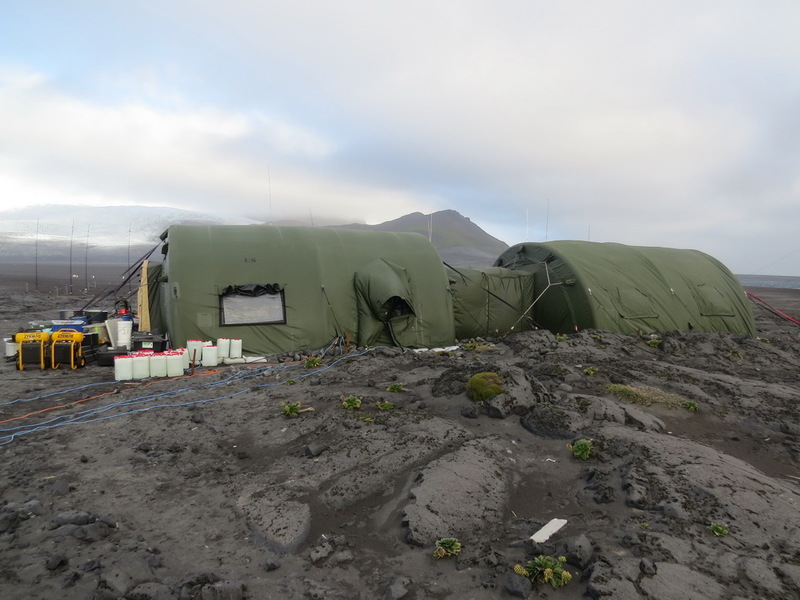 The people at HDT Global have been wonderful people to work with – and these extremely durable and spacious tents have already withstood 60 knot winds, rain and fast blowing volcanic ash and sand like a real champ! Operating room on the left, dormitory on the right – with a covered walkway between. The tents go up in less than a half hour – which is crucial in such a harsh environment. HDT is thrilled to be a part of the Heard Island program. All HDT employees are proud of the fact that our shelters are keeping the crew warm and safe from the extreme elements that you encounter daily during your expedition!